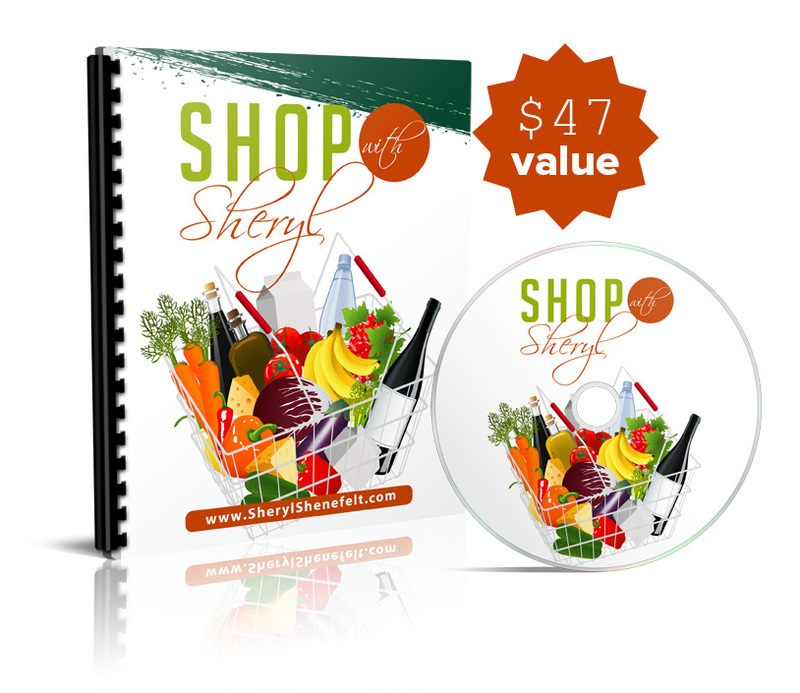 Shop with Sheryl is your guide to how to stock your pantry, kitchen and body with the best possible foods, supplements, and nutrients! This resource will give you a step by step blueprint of the exact action steps to follow in order to feel better, look great and create healthy habits! How to enjoy the benefits of good health and delicious meals! !